This gorgeous prairie style home with craftsman details was originally built for one of Duluth’s pioneer families, Henry and Mary Salyards. The Salyards built this home with the assistance of architects Bray and Nystrom. Mr. Salyards was the President of the Duluth Board of Trade, a director of First National Bank and President of Salyards Grain Company. The census for 1910 lists two live-in staff members at this address. 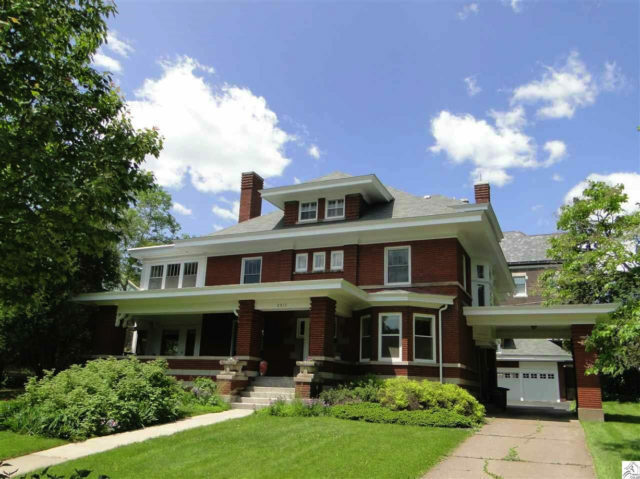 This home is in excellent condition and nearly fully intact from the original construction.